The Junior Pageant has been held each year in conjunction with the parade. 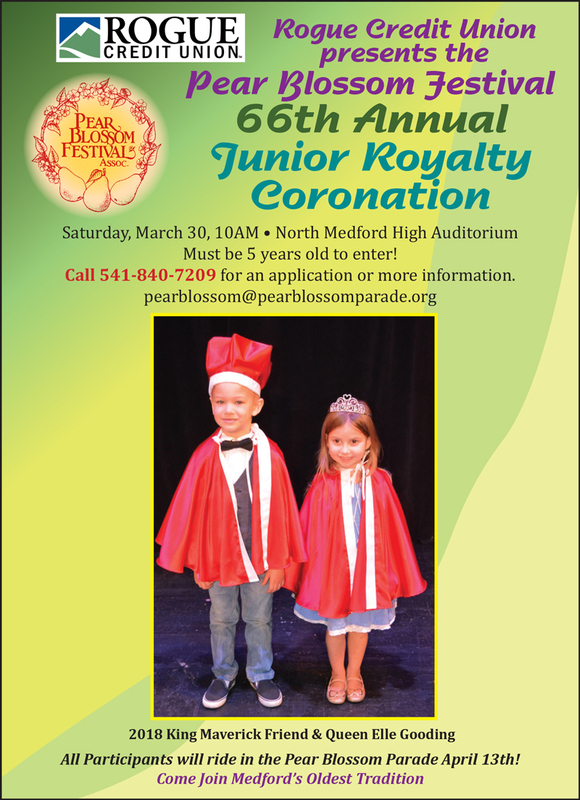 Judged on appearance, personality and poise the Junior Royal Court is selected from local 5 year olds. 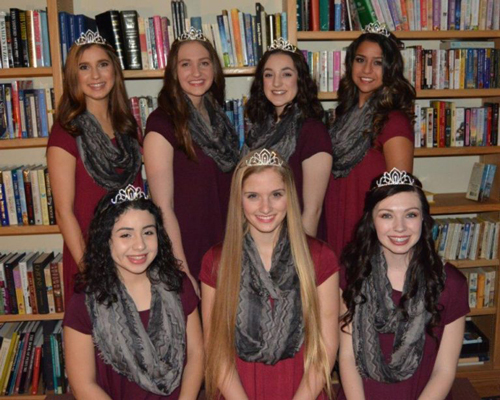 For months ahead of The Festival local area high school women participate in a scholarship program to be recognized as the Pear Blossom Queen and Court. These outstanding young ladies are judged on school leadership skills, academic achievement, community involvement, an interview with judges, writing and presenting an essay and answering impromptu questions on stage during the annual Pageant. For more info Call 541-840-7209. Must be 5 years old on pageant day to enter. Please call for application. Our 2017 Pear Blossom Pageant Princesses!